Published: Nov. 5, 2018 at 09:35 p.m. 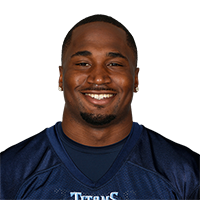 Published: Oct. 21, 2018 at 12:21 p.m.
Tennessee Titans running back Dion Lewis refuses to go down on 36-yard run vs. Los Angeles Chargers. Published: Sept. 9, 2018 at 07:25 p.m.
Tennessee Titans running back Dion Lewis funds a hole in the Dolphins defense to score a touchdown. Published: Sept. 9, 2018 at 07:17 p.m.
Tennessee Titans running back Dion Lewis swerves through Dolphins defense for a 26-yard gain.